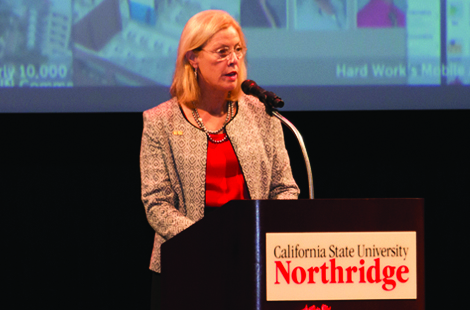 Highlighting that California State University, Northridge’s reputation has reached “new heights,” President Dianne F. Harrison said her vision for the university’s future includes building on CSUN’s strong foundation to produce leaders and innovators that are world leaders. Read more about the convocation. Faculty and staff are invited to attend CSUN’s annual Freshman Convocation featuring Drew Magary, author of The Postmortal: A Novel. Explore a new Employee Assistance Program (EAP) benefit, LifeMatters@CSUN, administered by Empathia Pacific, Inc. LifeMatters provides counseling and online resources to faculty, staff and their families. Come talk to health care providers, voluntary plan and tax shelter annuity representatives, as well as our own campus partners to make the most of Open Enrollment and the year ahead.